Quantitative metrics are one of the few tools that allow specialists in the field of Human-Computer Interaction (HCI) to obtain numerical values about the level of usability of a software system. Although the advantages that software metrics provide, there is not enough evidence about their use in the literature. In this paper, we describe the evaluation process and the application of the usability metrics proposed by the ISO 9126 standard to evaluate a specific software product in the E-Commerce domain. The purpose of this study is to establish a guide that can be used by professionals in Software Engineering and related areas, to determine the correct level of usability of a set of graphical user interfaces that are designed as part of the front end of a system. In the same way, we describe the example of an application in which the entire inspection process is followed. 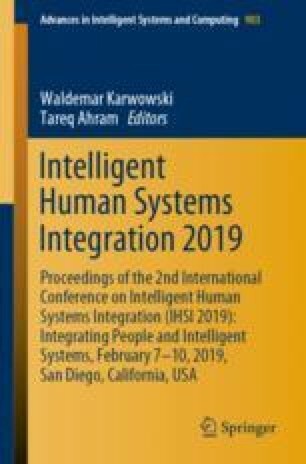 The authors would like to thank all the participants involved in the preliminary experiments, especially the members of “HCI – DUXAIT” (HCI, Design, User Experience, Accessibility & Innovation Technologies). HCI – DUXAIT is a research group of the Pontificia Universidad Católica del Perú (PUCP).